German Chancellor Angela Merkel says she is absolutely certain that President Bashar al-Assad is responsible for the chemical attack in Syria, despite evidence to the contrary. “I believe that the evidence that chemical weapons were used there is very clear and very explicit. From my point of view, this can be verified again, but this cannot help us in assessing this case,” Merkel said at a joint press conference with Ukrainian President Petro Poroshenko. Merkel’s claims contradict evidence that the attack was orchestrated by the Al-Qaeda affiliated group ‘The White Helmets’ – an organization with a history of conducting false flags in Syria. Sputniknews.com reports: On April 7, several Syrian opposition online media outlets reported, citing militants that the Syrian Army had used chlorine in the town of Douma and killed up to 70 people. The Russian Reconciliation Center for Syria on Sunday categorically refuted the reports. The Center’s representatives visited the place of the alleged attack and questioned local doctors, who said that they had not received individuals with symptoms of any chemical poisoning. 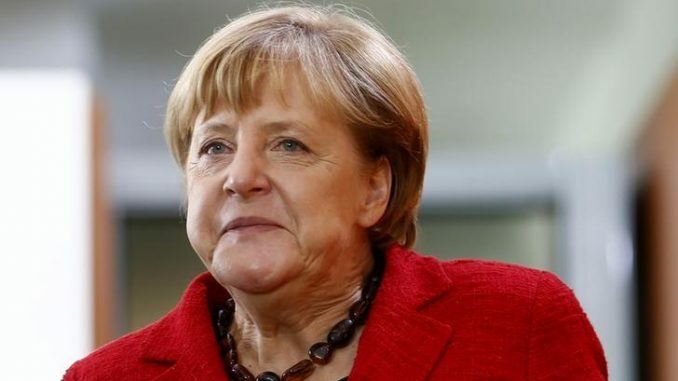 While speaking about the Nord Stream 2 gas pipeline, Merkel said that the project couldn’t go ahead without clarity on Ukraine’s role as a gas transit route. 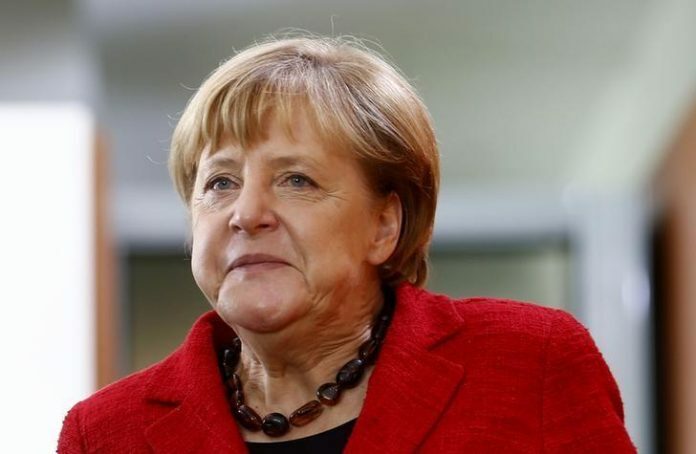 “Right, and I said this yesterday in a phone conversation with Russian President [Vladimir Putin] that it is impossible if because of Nord Stream-2 Ukraine will lose its significance as a gas transit country… I clearly indicated that the Nord Stream-2 project is impossible without our clarity about the future role of Ukrainian transit, from our viewpoint,” Merkel said. “So you can see that it is not just an economic issue but there are also political considerations,” she noted. Nord Stream 2 is a joint project run by Russia’s Gazprom together with France’s Engie, Austria’s OMV AG, Anglo-Dutch Royal Dutch Shell, and Germany’s Uniper and Wintershall. It will deliver 55 billion cubic meters of Russian natural gas per year to the EU, through a pipeline across the Baltic Sea to Germany.